The arrival of French settlers in Pointe-Claire began in 1698-1699. By 1706, clearing had progressed sufficiently for a road to be built along the shore from La Présentation to the tip of the island. Parcels of land granted to settlers along the water’s edge were served by the Chemin du Roy (present-day Du Bord-du-Lac – Lakeshore Road). The parish was subdivided into three côtes: Saint-Rémy (Des Sources Boulevard), Saint-Jean and Saint-Charles. Initially founded under the name of Saint-François de Sales in 1713, the parish was dedicated to Saint Joachim the following year. In 1834, Monseigneur Signay issued the decree for the canonical erection of the parish. 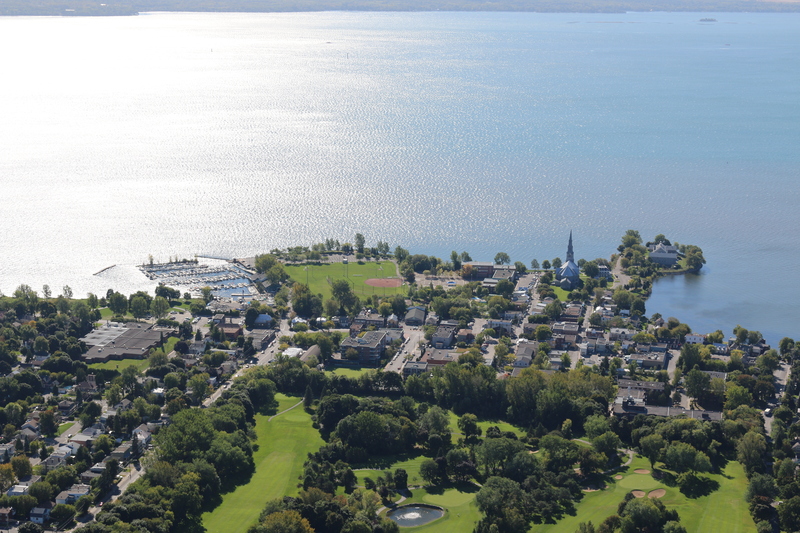 Pointe-Claire became a civil entity in 1845 and was designated as a municipality in 1854. With agriculture as the chief activity in the area, the landscape changed very little. Gradual changes were seen with the influx of English-speaking summer vacationers attracted by the area’s natural beauty. To cope with increasing demand and vacationers’ needs, many private homes were rented out. Seasonal cottages were also built, which soon became permanent residences. This new socio-economic reality defined the landscape of Pointe-Claire and influenced its development until the Second World War. The advent of the Grand Trunk Railway in 1855 brought about many changes, and from 1887 the Canadian Pacific railway, cut the journey to Montreal down to 45 minutes. Another significant change was the introduction of telephone service in the 1890s. In 1899, the municipality grew by annexing new properties. On May 22, 1900, a devastating fire in the heart of town destroyed about 30 buildings between De l’Église Street (present-day Saint-Joachim Avenue), Sainte-Anne Avenue, and present-day Du Bord-du-Lac – Lakeshore Road. The City incorporated in 1911 included the village and a large part of the territory that had belonged to the parish; another part of this territory was later annexed in 1958. A highway built beside the railway track in 1940 confirmed Pointe-Claire’s identity as a suburb. 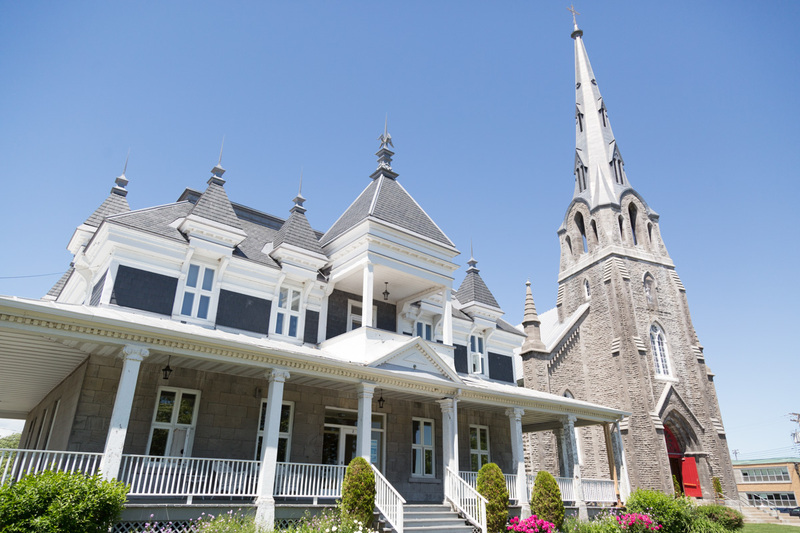 Pointe-Claire’s most significant architectural and land heritage is located in the southern part of its territory. About 150 historic buildings were identified in an inventory commissioned by the City’s Planning Department in 1989. Below you will find a list of key events in Pointe-Claire’s history by period, as well as the history of City Council. 1678: Lands are conceded by the Sulpician priests. 1710: Communal mill is built. 1713 (October 13): The first church is built and the Saint-François-de-Sales parish is created in the area known as Pointe-Claire. 1714 (May 1): The parish is renamed the Saint-Joachim-de-la-Pointe-Claire parish. 1722: The Saint-Joachim-de-la-Pointe-Claire parish becomes a civil parish. 1745-1757: A new, larger church is built to better serve the community. 1787: The first convent of the Congregation of Notre Dame is built. 1825: The Lachine Canal is opened, meaning the rapids can be bypassed. 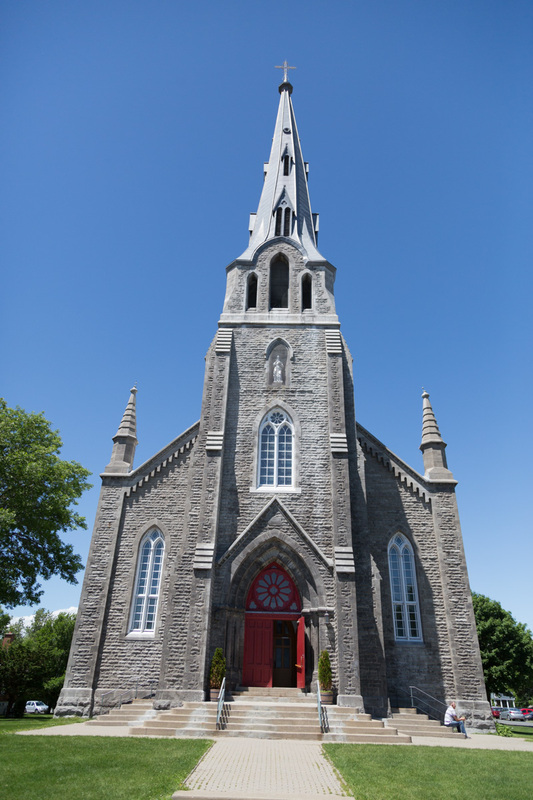 1834 (April 7): Canonical erection of the Saint-Joachim-de-la-Pointe-Claire parish. 1835: Post office opens under the name Pointe-Claire. 1845 (June 8): The Saint-Joachim-de-la-Pointe-Claire parish becomes a municipality. 1847 (September 1): The Saint-Joachim-de-la-Pointe-Claire parish loses municipality status. 1854: A limestone quarry (where the Beaconsfield Gulf Club now stands) provides stones for construction of the Victoria Bridge. 1854 (September 2): The Village of Saint-Joachim-de-la-Pointe-Claire becomes a municipality. 1855: The Grand Trunk Railway Company links Montreal to Belleville, Ontario. 1855 (September 1): The Saint-Joachim-de-la-Pointe-Claire parish becomes a municipality. 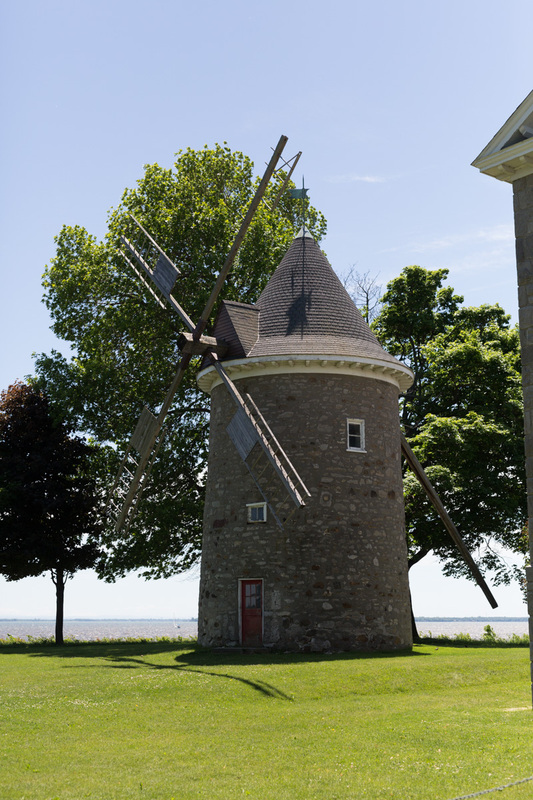 1867: The second convent of the Congregation of Notre Dame is built on the point next to the windmill. 1868: A third church is consecrated on the site of the 1757 church. 1881 (April 17): The third Saint-Joachim Church is destroyed by fire. 1885 (September 15): The fourth and current Saint-Joachim Church is consecrated. 1900 (May 22): About 30 houses, City Hall, and the post office are destroyed by fire. 1900: A new City Hall is built. 1904: Beaconsfield Gulf Club is incorporated. 1905: The Bowling Green area is developed. 1910 (June 24 to July 3): Canada’s first international air show is held in Pointe-Claire. 1911 (March 14): The Village of Pointe-Claire is incorporated. 1915: Valois Bay Heights is developed. 1919: The first water filtration facility is built. 1930: The National Field of Honour, a military cemetery for Canadian veterans, is opened. 1942: Highway 20 is built. 1954: The first female mayor, Olive Urquhart, is elected. 1955: The water tower begins operating, increasing water pressure. 1958: Pointe-Claire is recognized as a city; a new City Hall is built. 1963: Stewart Hall, Pointe-Claire’s cultural centre, opens. 1969: The National Assembly passes legislation that, among other things, creates the Montreal Urban Community (MUC), which encompasses all municipalities on Montreal Island. 1980: The decision is made to build the Lakeside and Valois tunnels so that the railway can be crossed safely. 1987: The interior of the fourth Saint-Joachim Church is restored. 2000 (December 20): Legislation to reform municipal territorial organization for the Montreal, Quebec City and Outaouais metropolitan areas is passed by the Quebec National Assembly and receives royal assent the same day. Under the new law, all municipalities on Montreal Island, Île-Bizard and Île-Dorval are merged to form the new City of Montreal. The former City of Pointe-Claire becomes the Pointe-Claire borough of the City of Montreal. 2001 (November 4): The City council for the new future City of Montreal is elected. 2001 (December 31): The merged cities cease to exist as independent cities. 2002 (January 1): The new City of Montreal comes into existence. 2004 (May 20): 36.55% of taxpayers from the former City of Pointe-Claire sign a petition for a referendum to separate from the City of Montreal and become a municipal entity distinct from the other municipalities of Montreal Island. 2004 (June 20): A referendum on separating from Montreal is held; 50% + 1 of votes in favour of separating – representing at least 35% of registered voters – was needed. An 88.82% majority, representing 52.75% of registered voters, was secured for Pointe-Claire to separate from the City of Montreal. 2006 (January 1): The City of Pointe-Claire regains its status as an independent city.